Killamarsh Ladies. Do you recognise any of them. See note below. Photo courtesy of Geoff Beach. Edith’s surname was Moult, she was married to Jim and lived at 113 High Street in the early 60s, then moved further down the road nearer the school later on. 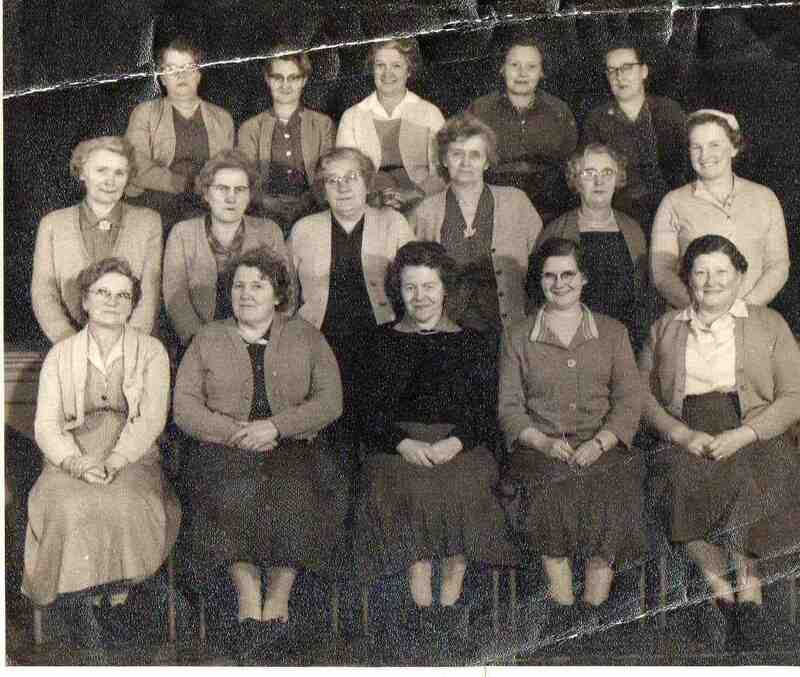 Front row far right Edith ?.Used to work in Unsworths shop Bridge street. Back row 2nd left Stella Marshall .4th left Mrs Wells. Middle row: Unknown, Margaret Sadler, ?, ?, Mrs Fox, Eunice Walker. Front row: Unknown, Unknown, Edna Bright (nee Mills), Voilet Beach, Edith ? Can anyone say what the occasion was and fill in the gaps in the names.